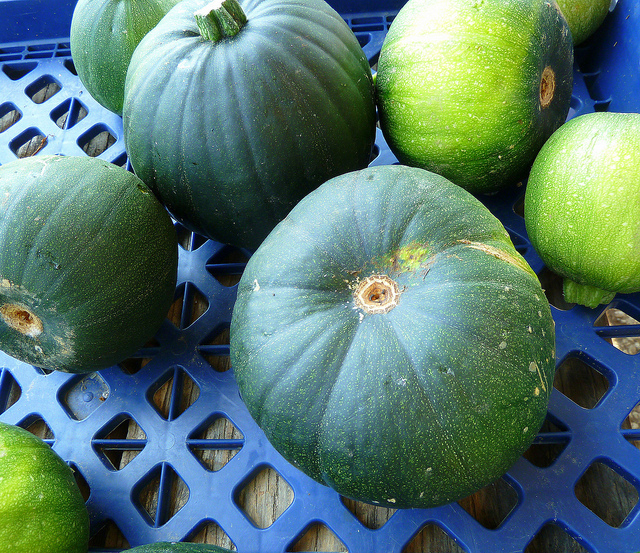 According to this farm website, it’s a hybrid variety of zucchini squash that’s become much more popular over the last several years; the size and shape make it ideal for stuffing. We had no idea how to cook this thing, so my fiance went to Google. He came across this Soupbelly.com recipe, and gave it a whirl. First he hollowed out the zucchini; then he mixed the guts, chopped tomato, chopped onion and cooked ground turkey (a replacement for bacon). He sauteed the mixture for a few minutes, removed it from the heat and added bread crumbs, cheese, salt and pepper. 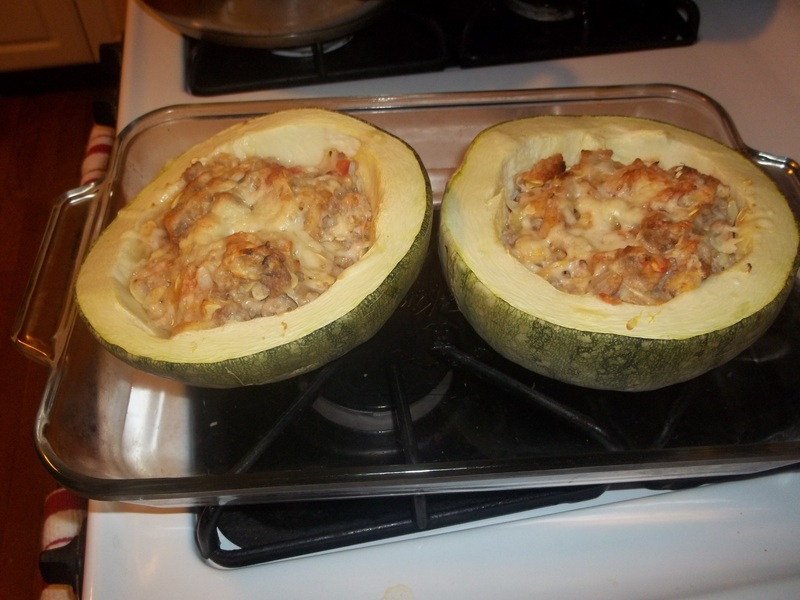 He spooned the stuffing into the zucchini, covered it with cheese and baked it for 40 minutes. The result: fantastic. Such a perfect blend of flavors. I highly recommend this recipe to anyone! …or else! It’s so freakin’ amazing. 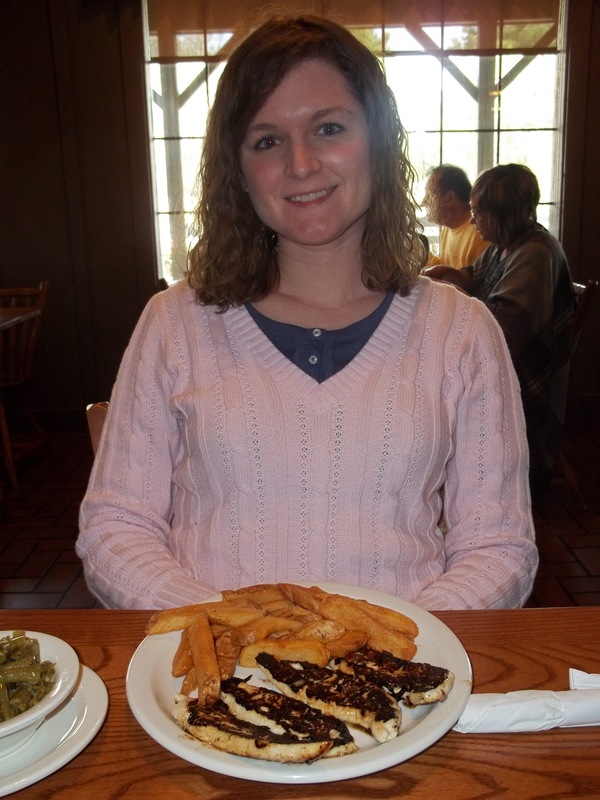 My fiance and I had dinner there the other night, and let me tell you I couldn’t get enough of my entree. But let me back up a bit. 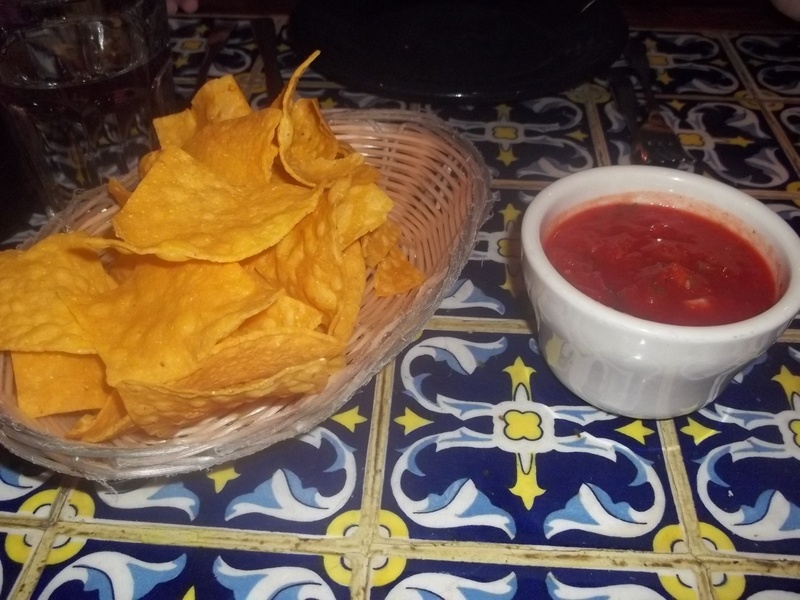 We started off with drinks and some complimentary salsa and chips. Those were good, though nothing particularly amazing. 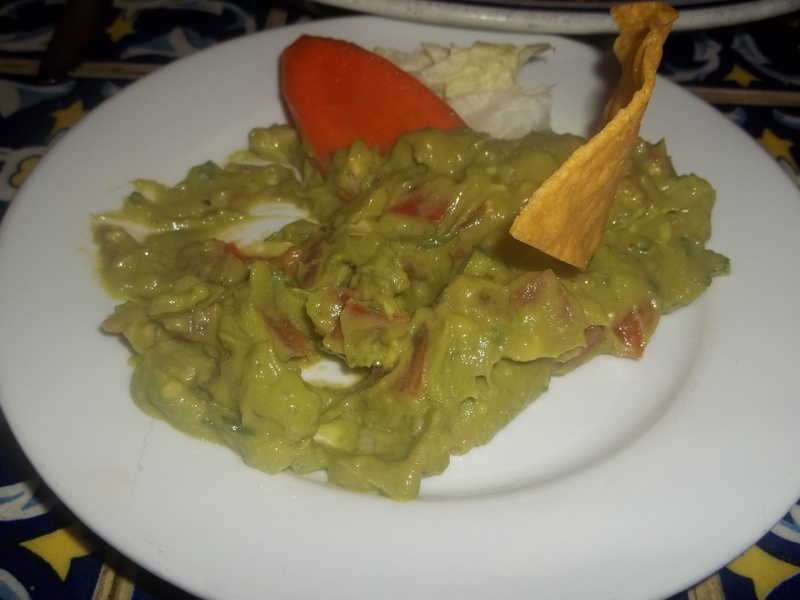 The guacamole was also fine. But let me tell you, my entree really knocked my socks off. 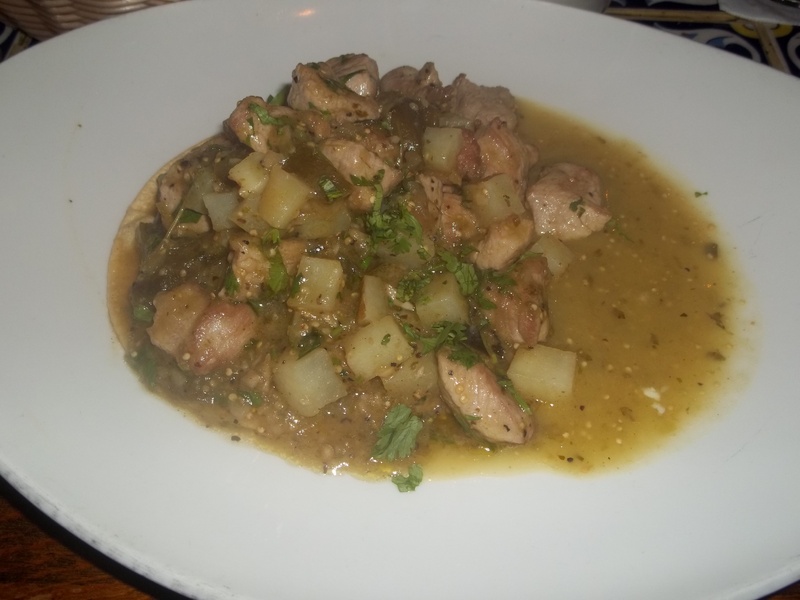 I had sauteed pork tenderloin tips with tomatillos, cilantro, potatoes and roasted poblana peppers. The pork was so tender and flavorful, the potatoes were so cute all chopped up into tiny pieces (and delicious), and the tartness of the tomatillos really complemented the savory pork. I was so thankful to have leftovers today for lunch! 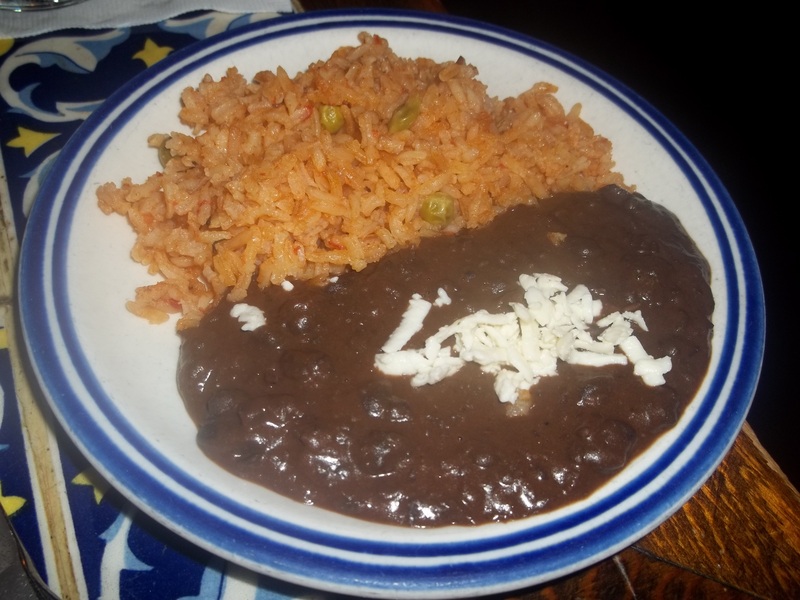 Both dishes were served with delicious rice and beans. Appetizers range from $6.50 to $11.50, and entrees range from $16 to $28.25. 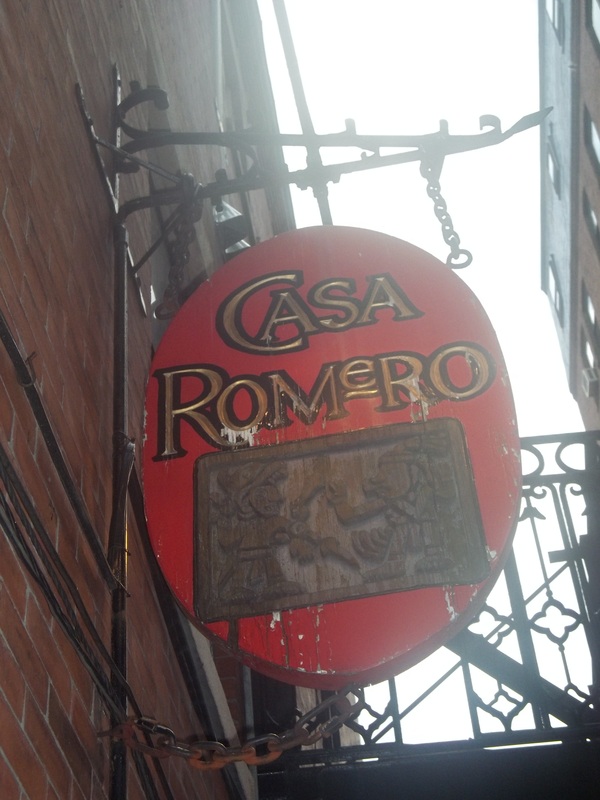 If this in in your price range, and you’re craving Mexican, make sure you stop here. The waitstaff was so friendly (they even gave me extra rice and beans for my to-go container without me asking), and the decor is beautiful/colorful. Enjoy! We met with the florist. We are having Nino Gagliano of the Backyard Garden Florist do our flowers. He’s so nice and accommodating. We arrived at our appointment with several ideas of what we wanted, which made things easy. When we showed Nino our pictures (I found them online), he immediately knew which flowers were in each arrangement. Based on our preferences and his advice, he helped us pick out the perfect flowers and color combinations. We will be using a mixture of white roses, calla lillies, green hydrangeas, snapdragons, stock flowers, and hypernicum berries. We checked out the rehearsal dinner venue. My fiance’s parents are hosting the rehearsal dinner at the Wellington House in Fayetteville. Wow, what a unique and charming abode! 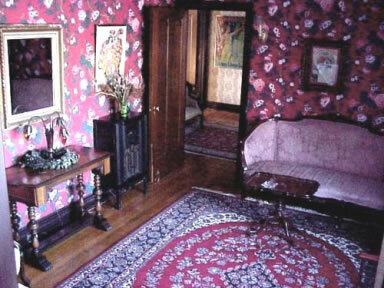 Built in the early-1920s, the home is split up into themed rooms. 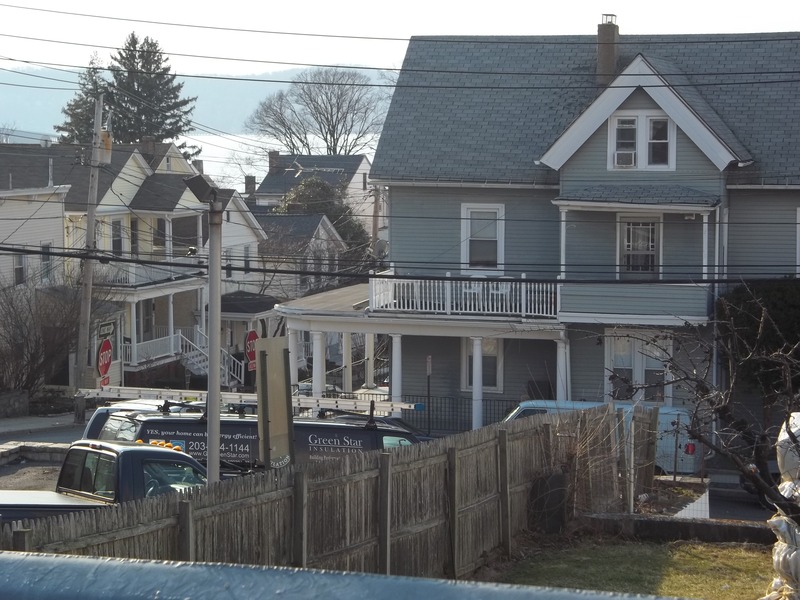 For example, there’s a “wicker room,” “men’s lounge,” and “bride’s room.” Thomas Thomas, the current owner, has filled the residence with furniture and antiques he’s purchased from local auctions. The estate includes a garden and a bar area, both of which we’ll be using for the rehearsal dinner (we’ll actually have free reign of the whole property). 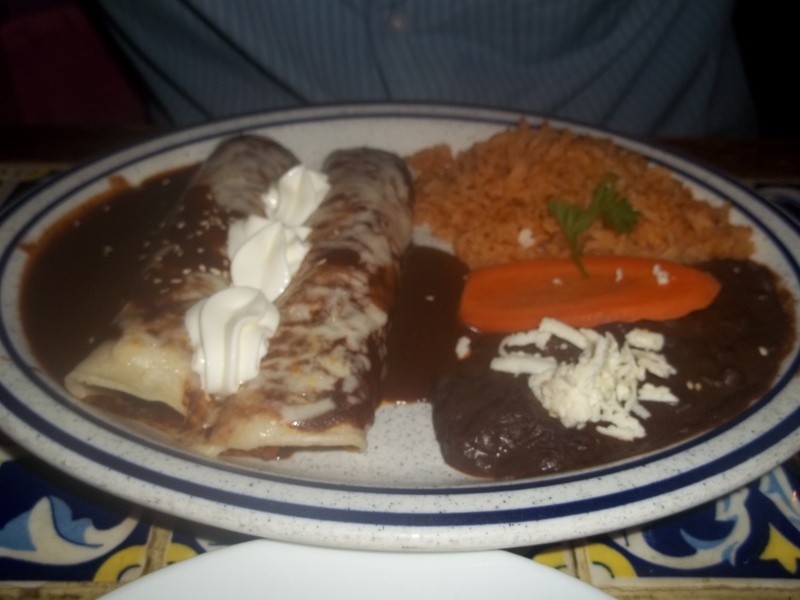 We discussed some wedding details over a delicious dinner. 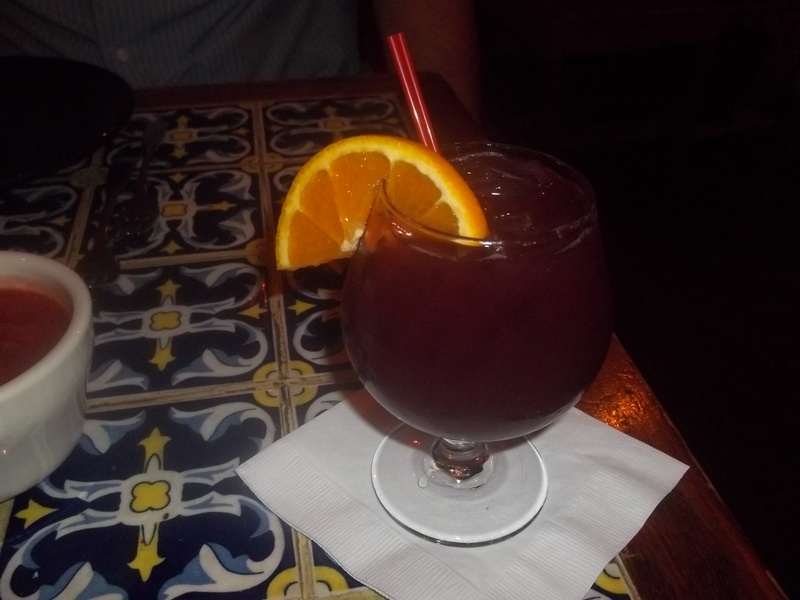 My fiance’s parents were in town for a couple of days as well, so my family (my dad, mom, brother and I) went out to dinner with them and my fiance. 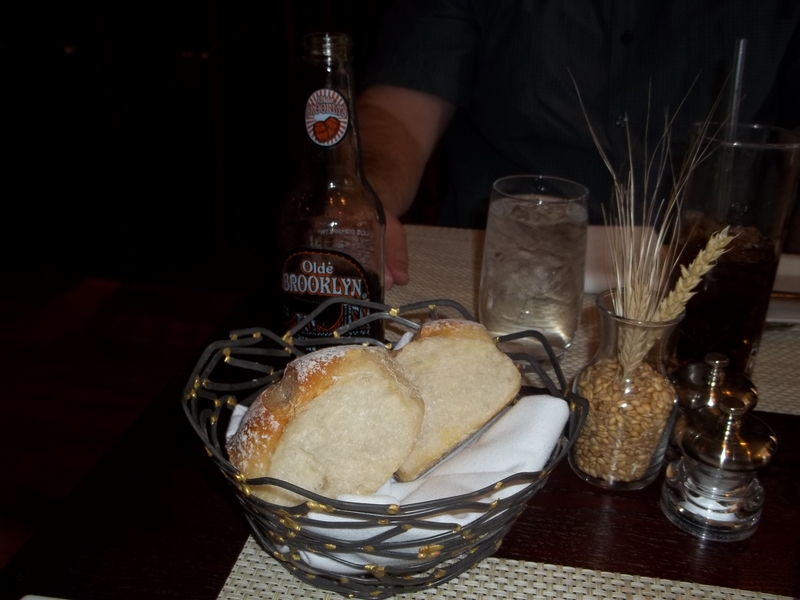 We dined at the Brewster Inn, a wonderful bed and breakfast overlooking Cazenovia Lake. Not only was the view lovely, but dinner was amazing. Almost everyone had something different. I had the pan seared tournedos of beef (it came with chantilly potatoes, asparagus, and burgundy cream sauce), and my fiance indulged in the pork tenderloin au poivre (it was served with chantilly potatoes, asparagus, and a green peppercorn cream sauce). We met with the baker. Connie Decker of The Chocolate Truffle will be making our wedding cake. I can’t find her website, but here’s a newspaper article about her. She’s been in business for more than 20 years, so she seems to really knows her stuff. We were a little disappointed she doesn’t do cake tastings (to help you figure out what cake flavor and filling to choose), but were willing to sacrifice that perk for her expertise. We decided on a chocolate cake with white frosting and raspberry filling. White roses, green hydrangeas, stock flowers, and hunter green leaves will decorate the cake. Tomorrow we’re finalizing the guest list with my mom; on Saturday, we’re sampling food at the reception venue. I’m especially excited for that task! I’m in Charleston, South Carolina! 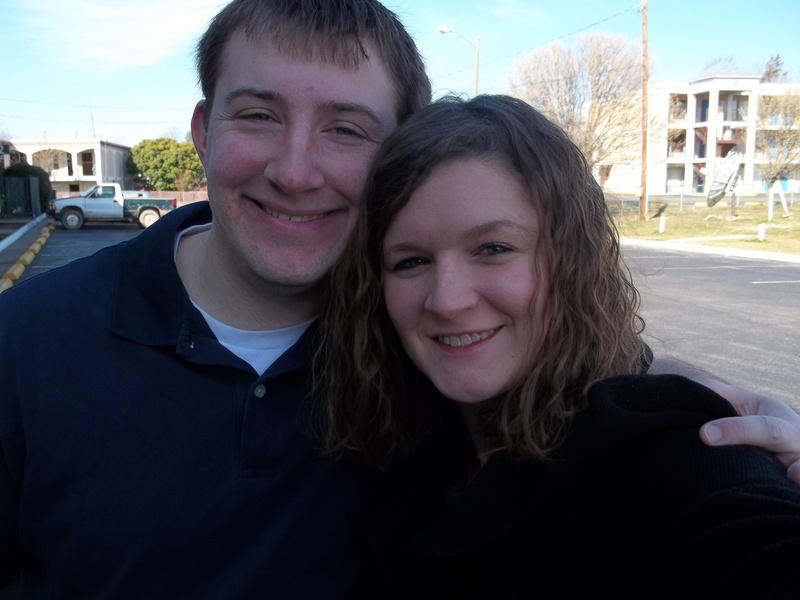 My fiance and I arrived in Charleston, South Carolina yesterday evening! We are spending five or so days here for vacation. It’s so sunny and warm (high of 75). We left Boston on Saturday morning, and headed toward Connecticut. 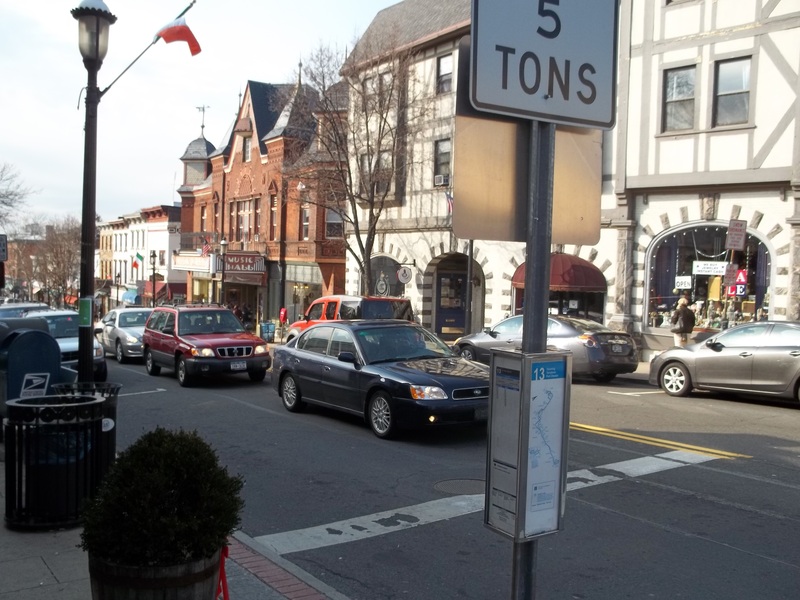 Connecticut traffic really slowed us down (as a result of this horrific accident), but we eventually made it over the border to Westchester County, New York. 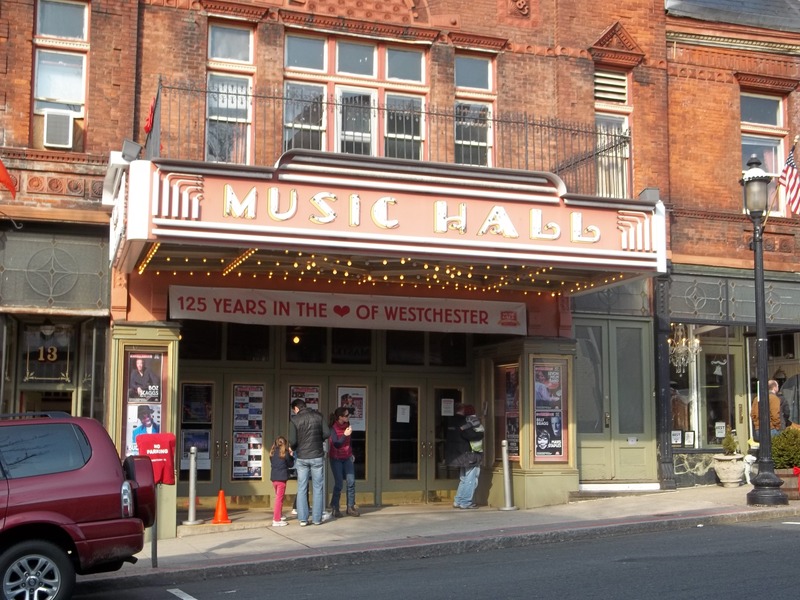 We had lunch in charming Tarrytown, which sits right beside the Hudson River. 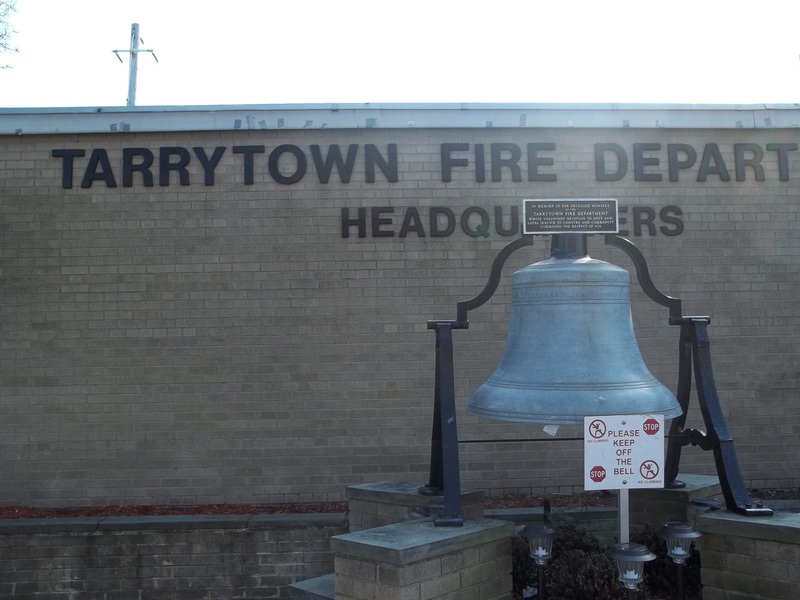 We chose the Tarry Tavern, a Main Street locale prioritizing locally grown ingredients. I wasn’t that hungry, as I had enjoyed a calzone and yogurt in the car. 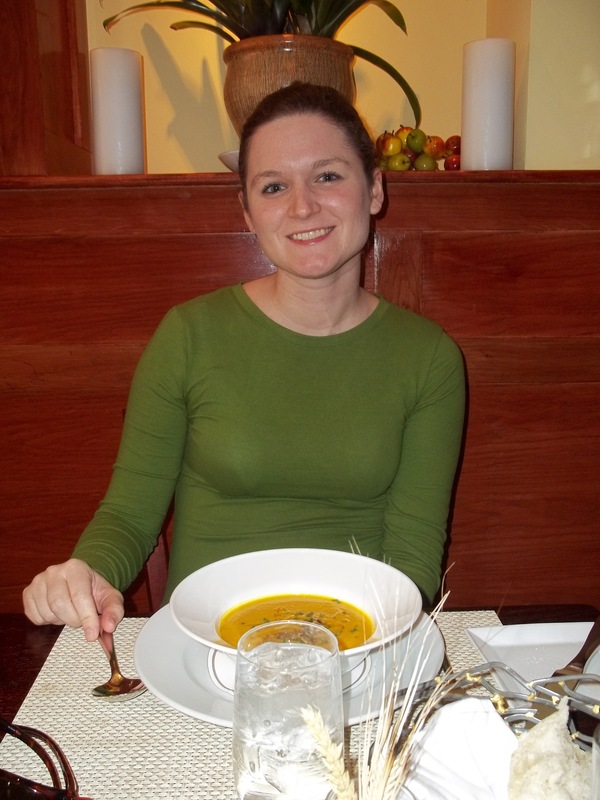 So I just got some acorn squash soup, which was amazing. My fiance had a “TT Wagyu” burger that he called “one of the best burgers” he’s ever had (the meal included bacon onion jam, white cheddar, and hand-cut fries). Before out meals arrived, they served us rolls with butter. 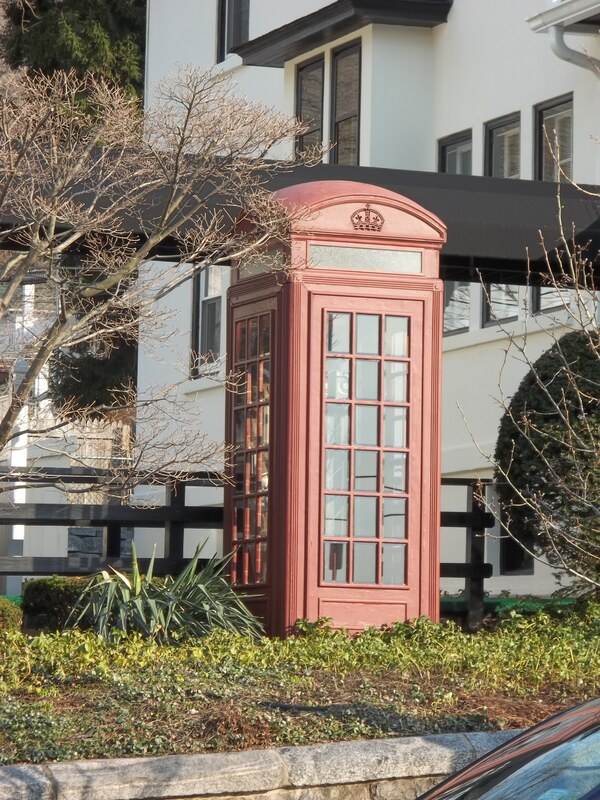 This phone booth was in someone's front lawn. The Hudson River is in the distance. 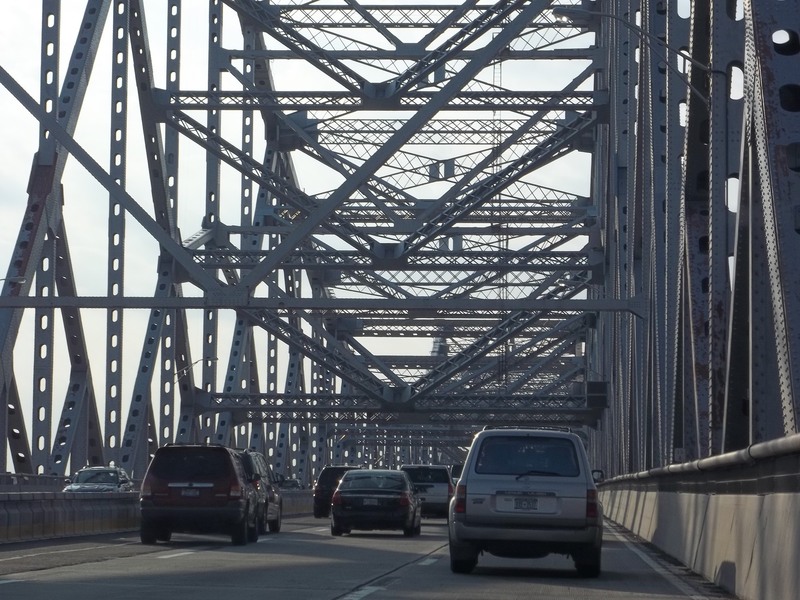 From Tarrytown we headed over the Tappan Zee Bridge. 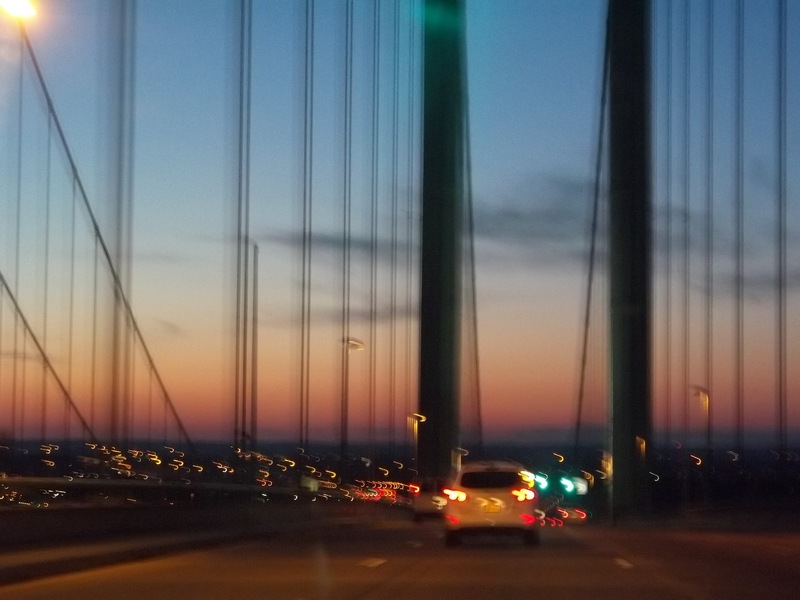 We drove through some more of New York and New Jersey; then we crossed the Delaware Memorial Bridge to Delaware. We went through Delaware, Maryland and part of Virginia, before stopping in Ashland, VA. After getting prices from several hotels off the rest stop (including a somewhat sketchy hotel with a glass barrier protecting the concierge), we settled on a Quality Inn. Ruby Tuesday was right across the street, so we went there for dinner. 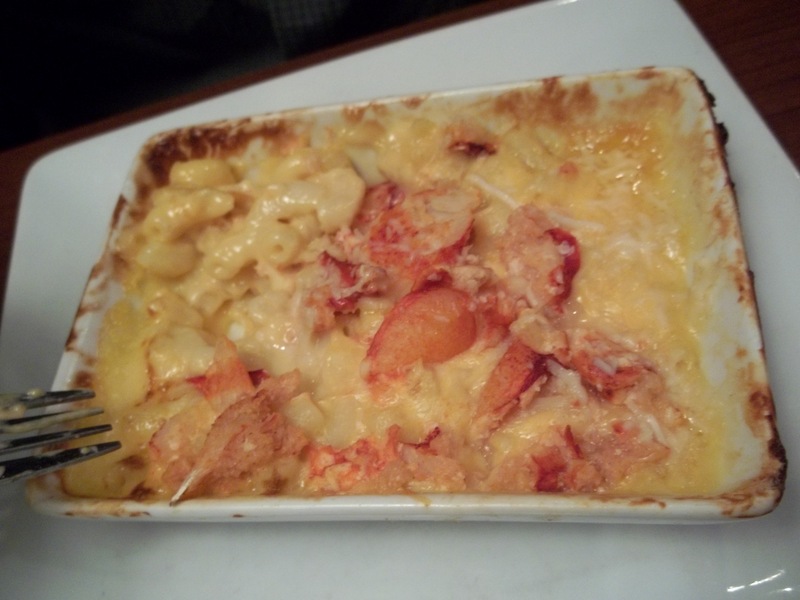 My fiance had lobster macaroni; he said it was rich and very good. I had one of their tilapia specials. 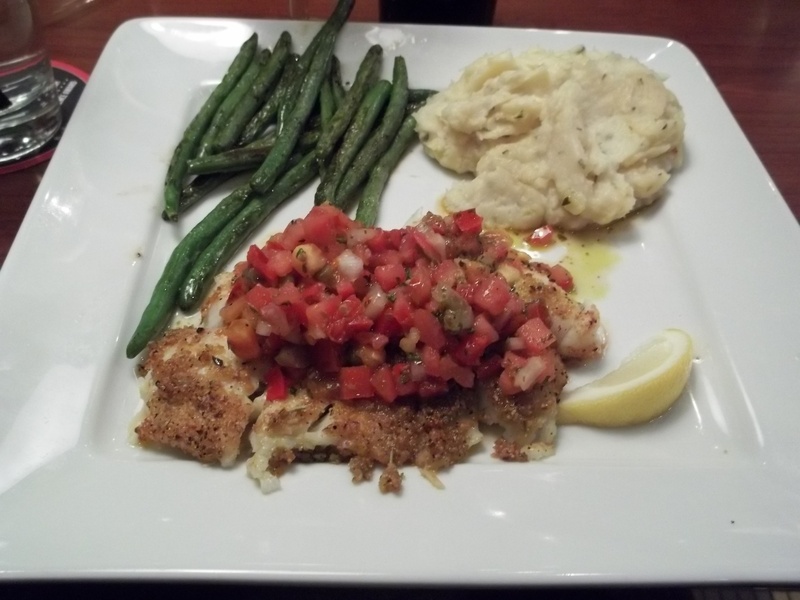 It included a bruschetta sauce, grilled green beans, and white cheddar mashed potatoes. I must say, Ruby Tuesday has really improved their offerings since I was in high school. The next morning we stepped outside and it was gorgeous out (about 60 degrees and sunny). We decided to take a picture so we’d remember this moment. 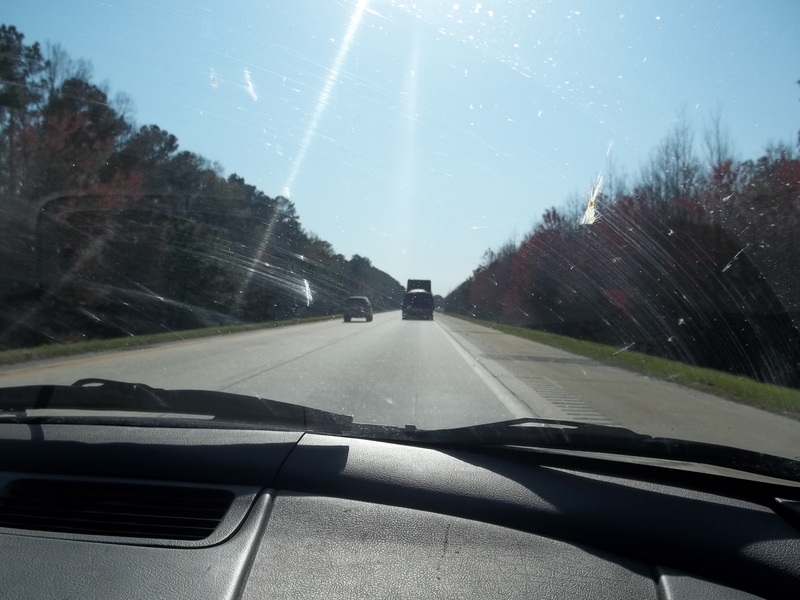 We got back on I-95 and drove until Wilson, North Carolina. 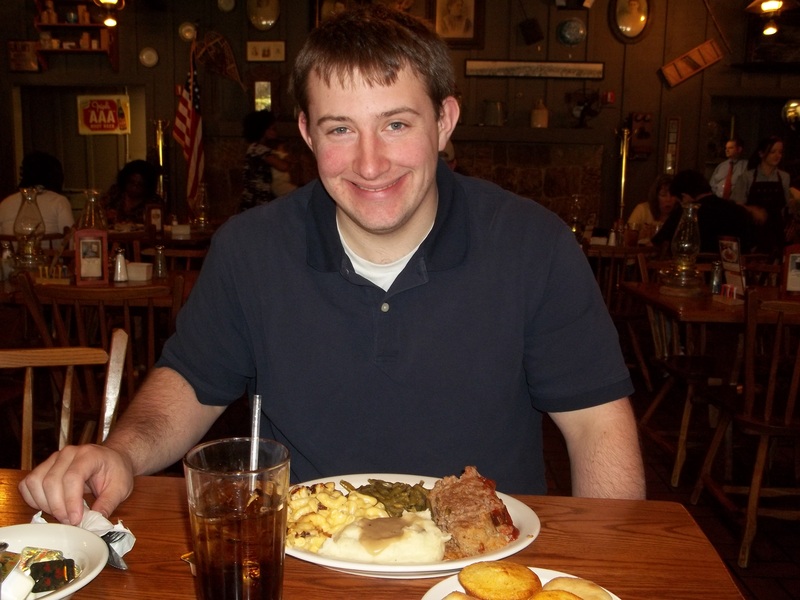 There, we stopped at a Cracker Barrel for lunch. We had yet another fabulous meal! My fiance had meatloaf with mashed potatoes, green beans and macaroni and cheese. I had grilled chicken pieces with green beans and steak fries. 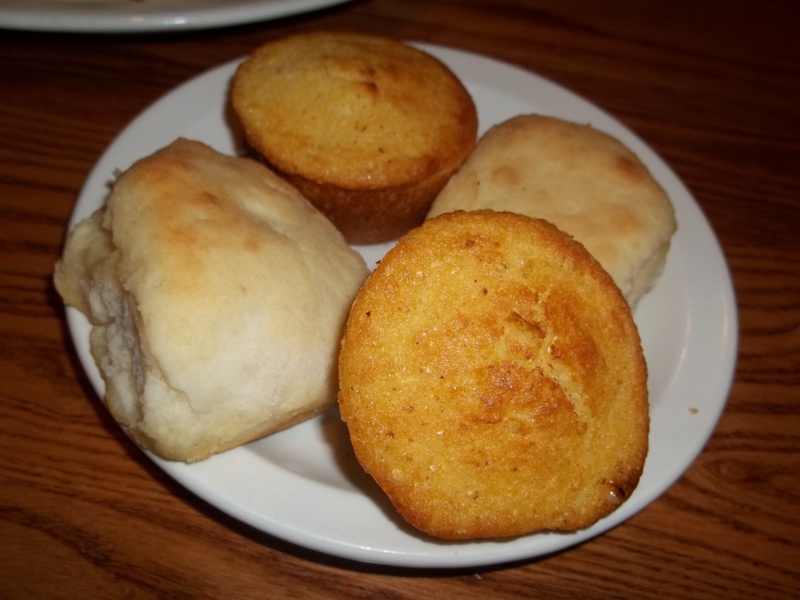 Our meal came with corn muffins and biscuits. 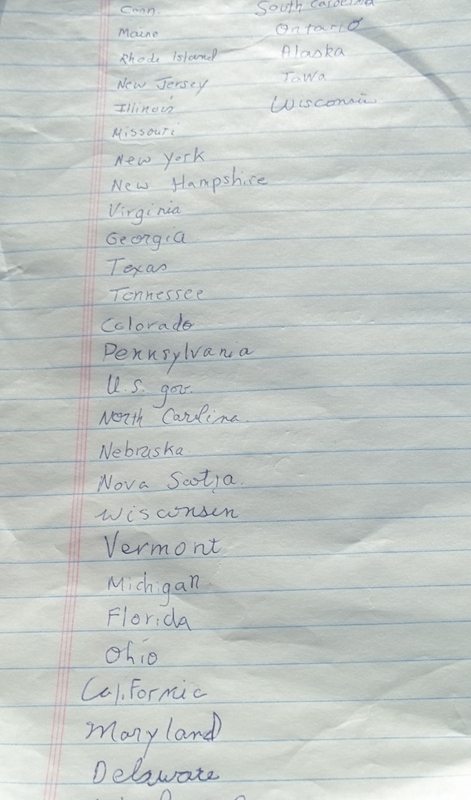 While we were in the car, we played the state license plate game (where you write down the names of all the different state license plates you see). I fell asleep somewhere in North Carolina. Before I knew it, we were in South Carolina. My fiance and I loved the lush greenery on the side of the road. We stopped at a McDonald’s for coffee (by the way they reacted to our request you’d think no one drinks coffee in South Carolina), and then got back on the road. Around 7 p.m. we arrived in Charleston. We drove by an industrial part of the city that wasn’t so nice. However, things improved as we got closer to downtown. I thought we were staying at the Days Inn but my fiance completely surprised me. 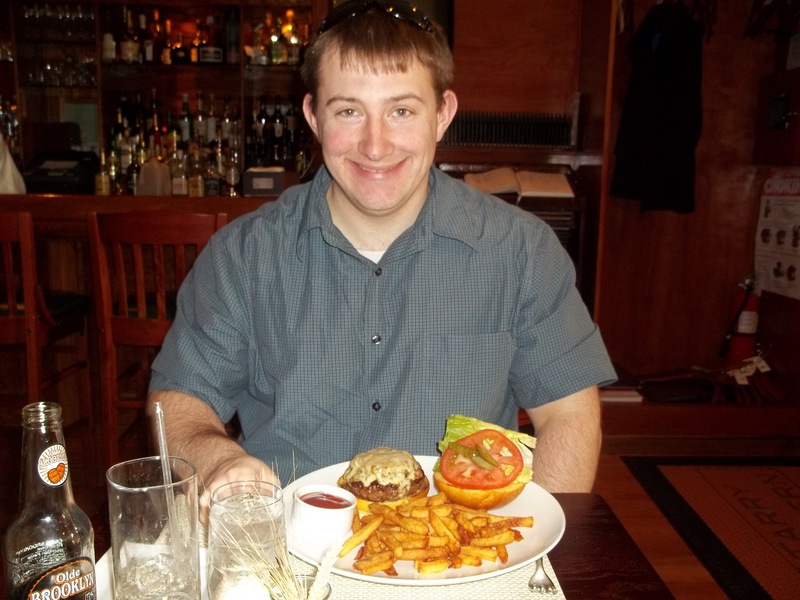 He had booked a room at The Anchorage Inn, an adorable bed and breakfast on Vendue Range right by the Waterfront Park. 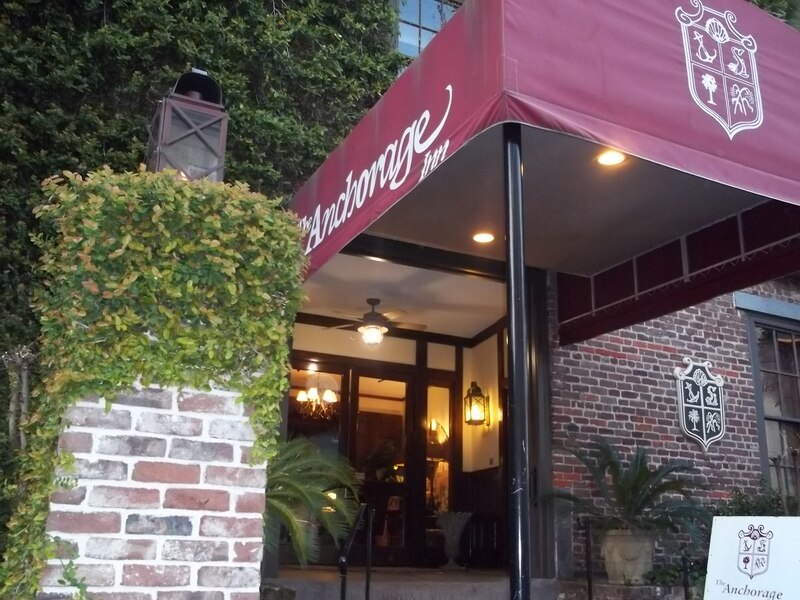 Just so you have an idea of how cool this place is, each day they have a continental breakfast, a 4 p.m. wine and cheese, and an 8 to 11 p.m. sherry. Not bad, huh? I had smoked salmon, and I had fingerling potatoes. 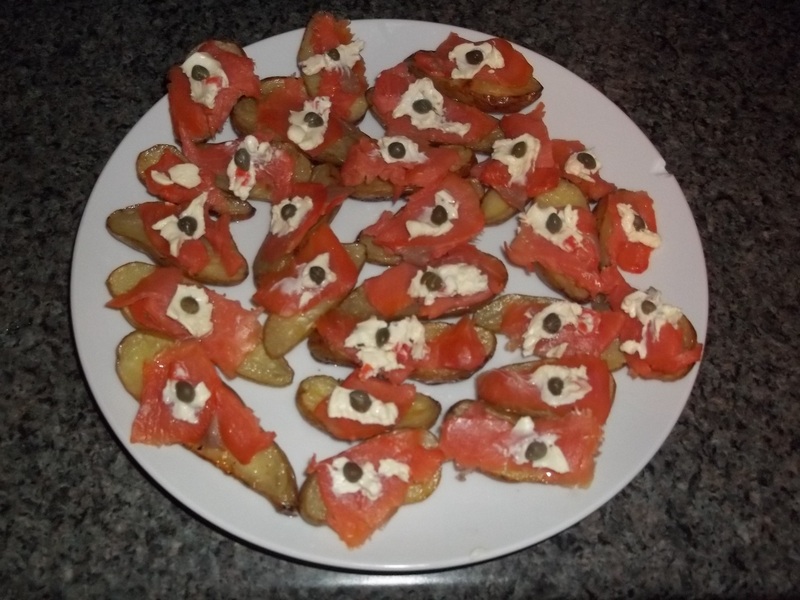 So I googled “smoked salmon” and “fingerling potatoes” and found this awesome appetizer recipe. Basically, you cut the fingerling potatoes in half lengthwise, roast them in olive oil until they’re golden brown (for me it took about 40 minutes), and let them cool. For dinner I had a bunch of these with broccoli. I would highly recommend this salmon recipe. Trader Joe’s fingerling potatoes work quite well (they are amazingly tasty). If I were to do the recipe again, I would use sour cream or creme fraiche (as the recipe suggests) instead of cream cheese. I think cream cheese (especially the veggie cream cheese I used) is a little too heavy/strong. The dishes listed in this post’s title are just a few of the recipes I’ve recently tried out; they’ve all served me very well! 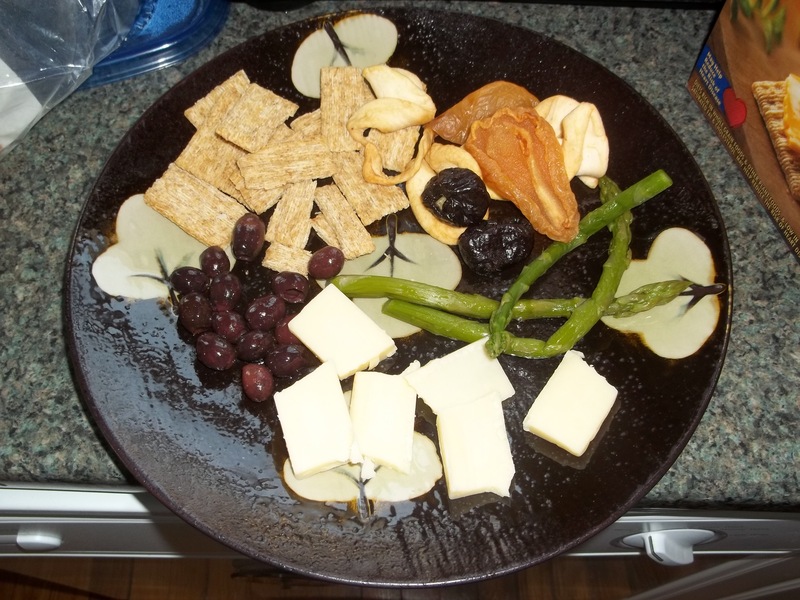 I was invited to a friend’s going away party several weeks ago, and wanted to make a creative appetizer containing some veggies. I stumbled upon this spinach and mushroom pinwheel recipe from allrecipes.com (I really love this site!). 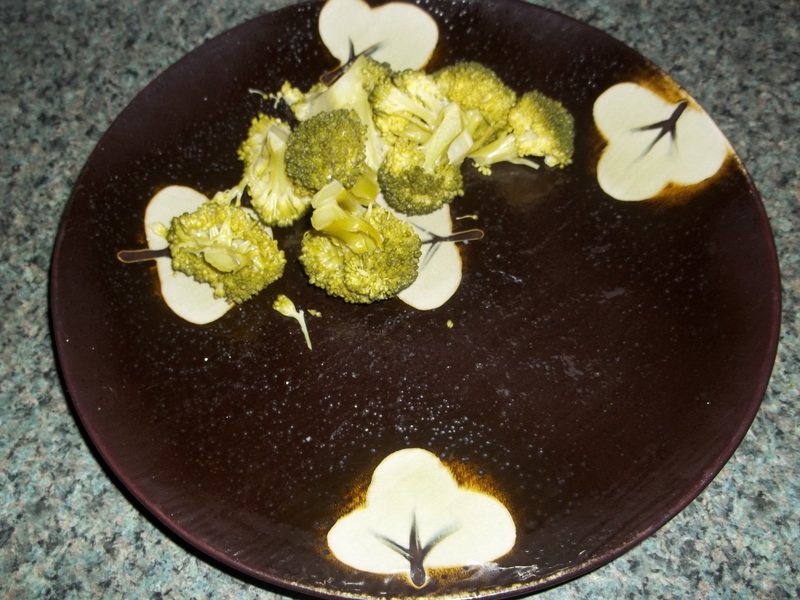 The recipe itself is very easy, though you need to start making the pinwheels several hours before your event. That’s because you need to chill the dough for 3o to 60 minutes, and then chill it for another hour once it’s been covered with the spinach/onion/mushroom/flour/oregano/salt/lemon juice/garlic powder/Parmesan cheese paste, and rolled up. I made the pork tenderloin, squash and pie for a Christmas dinner. The pork was AMAZING. I was all worried about making a meat dish, since meat can end up too dry or just plain bland. Well, I found this wonderful recipe on epicurious.com. 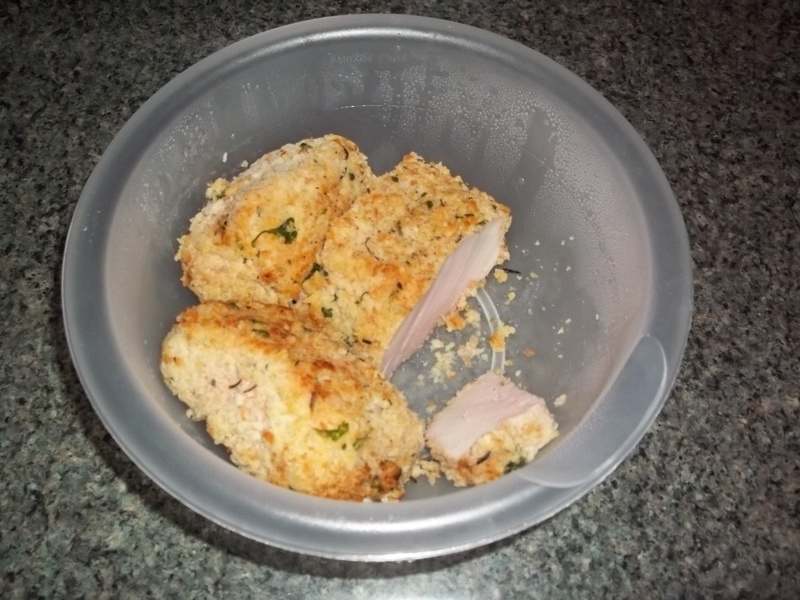 Basically you buy three pounds-worth of pork tenderloin (typically two tenderloins), trim the exterior fat, and then prepare a breadcrumb mixture. Then, you roll the pork in egg followed by the breadcrumb mixture, brown the outside of the pork in a pan for five minutes, and bake the pork until it reaches 155 degrees Fahrenheit (for me this took about 55 minutes, but I had 3.4 pounds of pork). The breadcrumb mixture contains crumbs from fresh French bread (I used a blender to make the crumbs), fresh chopped parsley, fresh chopped rosemary, and crumbled bay leaves. Deliciousness! The meat was so tender and tasty. And the baked butternut squash (from cooks.com) just melted in our mouths (and kind of tasted like candy…in a good way). I chopped up the squash into little squares and covered it with cinnamon, nutmeg, brown sugar, butter, and lemon juice. Then I baked it for about an hour (15 more minutes than the recipe recommends). The strawberry blueberry pie was sort of my own creation. 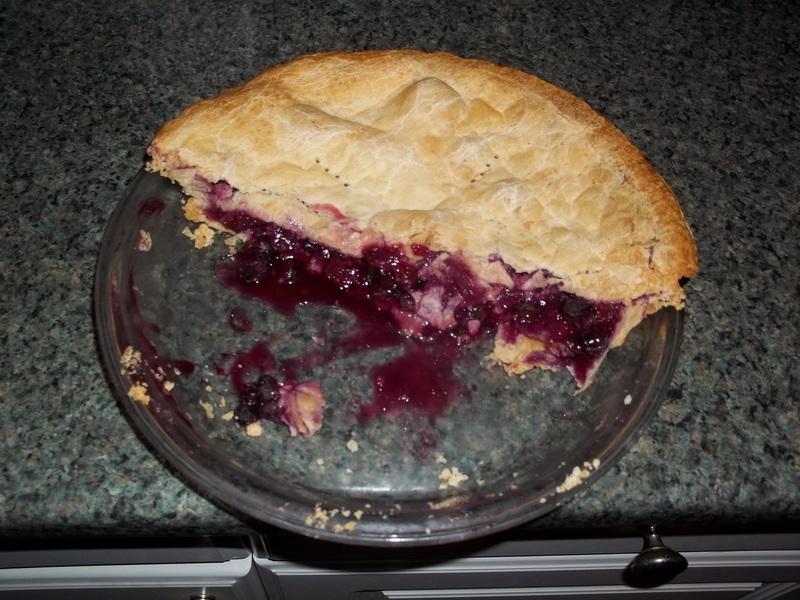 I based it largely upon this allrecipes.com three berry pie recipe. Because I didn’t have raspberries I added one cup more strawberries and one cup more blueberries. That worked out fabulously. The recipe was sooooo easy. Obviously the blueberries didn’t need to be chopped, and the strawberries only needed to be halved. I mixed them up with some sugar and cornstarch and voila!, the filling was made. I didn’t bother making my own crust so that part was super-easy as well (though I’d love to find a good pie crust recipe one of these days). I baked the pie for about an hour (with foil over the crust for the first half), and the thing was done.